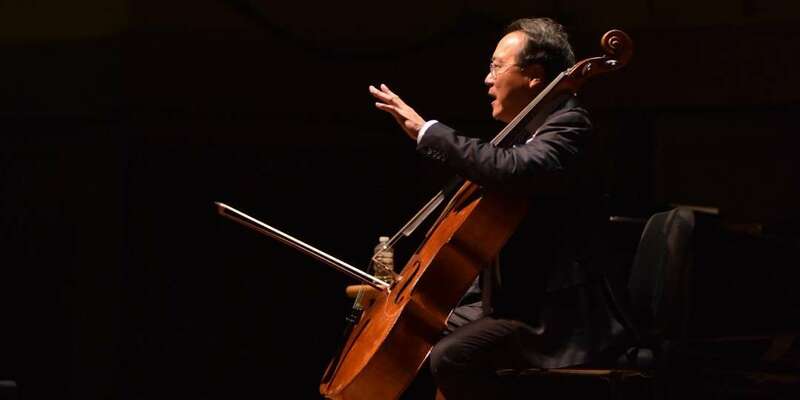 VC recently caught up with superstar cellist Yo-Yo Ma for a behind-the-scenes Instagram takeover — direct from the University of Michigan’s University Musical Society. YO-YO MA TAKEOVER | @yoyoma.official demonstrated musical selections from Bach on both the cello and the piano, explaining how “all life is based on theme and variations.” Throughout the special talk, he encouraged the audience to continue to listen and experiment. YO-YO MA TAKEOVER | Following a gracious question and answer with the audience, @yoyoma.official played a beautiful and poignant encore — “Song of the Birds,” a favorite Catalan lullaby of the legendary cellist Pablo Casals. YO-YO MA TAKEOVER | @umspresents brought @yoyoma.official to Flint, MI for a full “Day of Action” — meeting community leaders to lead a workshop and dialogue about inclusivity in the arts. YO-YO MA TAKEOVER | @yoyoma.official then hosted a free community cultural showcase in Flint’s historic Berston Field House. An enthusiastic crowd arrived, eager to hear Mr. Ma and talented local artists perform. YO-YO MA TAKEOVER | Flint singer, rapper, dancer, choreographer, producer, and activist @tundeolaniran introduced @yoyoma.official to a cheering audience. YO-YO MA TAKEOVER | Exclaiming “Does Flint have talent or what? !,” @yoyoma.official enjoyed performances by local groups including the Kuungana African Drum and Dance Company, Creative Expressions Dance Studio, The Boys and Girls Club of Flint Steel Band, and El Ballet Folklorico Estudiantil and Flint Mariachi Band. Next articleViolinist Tasmin Little ‘Schumann, Smyth, Beach’ CD Winners Announced!